Our Luxury Garden Umbrella will adds a pop of colour to your patio dining while providing the right amount of shade, it’s made of UV-protected polyester fabric that will not going to fade. A solid aluminium frame and durable polyester canopy is perfect for outdoor use, resistant to water and weathering and providing heightened stability on all types of surfaces, with its own swivel base providing 360 degrees of shade. It is easily opened and closed, with a crank and collapsible frame. 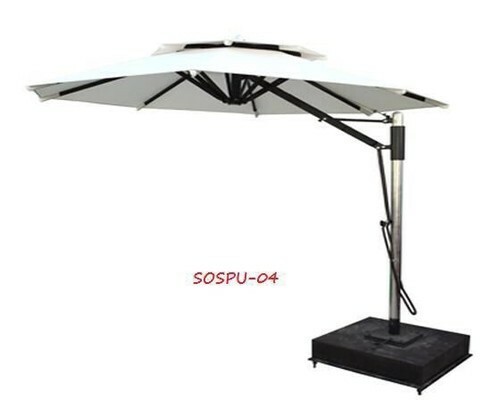 Whether you wish to enjoy a lazy afternoon in the sun or accommodate extra guests for dinner, this Garden Umbrella will be ideal for your garden or patio.